Easy Shrimp Scampi Recipe - Let the Baking Begin! Shrimp Scampi is made of shrimp or prawns that are cooked in butter and wine sauce with lots of garlic and fresh parsley. The sauce that surrounds the shrimp is absolutely amazing. You will want to soak up every little bit of it by serving it over pasta, mashed potatoes or grains. For years I was making this Shrimp Scampi Recipe and didn’t know the dish’s proper name. I was calling it garlic shrimp, or shrimp with garlic and parsley in butter, but it was Shrimp Scampi all. along. My life has been a lie…a beautiful, delicious one at that, ha! This recipe is so, so easy that it’s ridiculous that it’s as delicious as it is! All you have to do is chop your parsley and garlic, then add the ingredients to the skillet in some order and voilà! It is all done! Try this version once and you will see why this is the best Shrimp Scampi recipe E.V.E.R.! 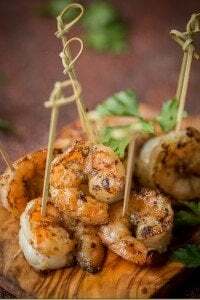 So, what can you serve Shrimp Scampi with? Well, I love to serve it atop fluffy mashed potatoes, creating a little indentation in the potatoes first, so that once the shrimp and the sauce are added they don’t immediately fall and dip off, but stay in that little well for you to eat out of. BUT! You can also serve it with some good pasta, like angel hair, or just regular spaghetti. If you serve it with pasta, it tends to absorb the sauce, coating each strand of spaghetti in the garlic butter, mmm…mm…mmm! This Shrimp Scampi recipe is a dream! It takes literally minutes to make, so you better have everything else ready before you turn the stove on, because once you are down to the cooking process, it will be 5 minutes or less! Gotta have shrimp, of course 🙂 The rest, you probably already have in the fridge. Start by making the sauce: melt the butter in a large skillet, then add pressed garlic and sauté for a minute. Next, add the wine and whisk to combine, then cook to reduce. Add thawed, deveined shrimp, cook until the shrimp are opaque. Do not overcook or your Shrimp Scampi might end up as a rubber scampi, haha! Squeeze some lemon juice, add chopped parsley and voilà! All done, my friend! 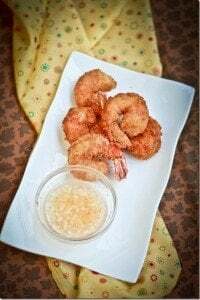 Garlic Shrimp Recipe – Simple shrimp recipe. 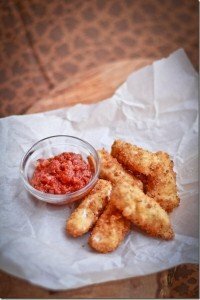 Deep Fried Prawns – The best-fried shrimp recipe. Chicken Wings – Baked chicken wings with garlic ranch flavor. Shrimp Scampi is made of shrimp or prawns that are cooked in butter and wine sauce with lots of garlic and fresh parsley. The sauce that surrounds the shrimp is absolutely amazing. 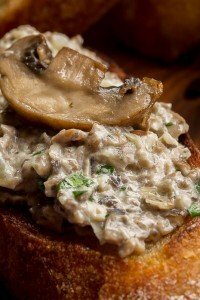 You will want to soak up every little bit of it with some good crusty bread! In a skillet, on low heat melt the butter and heat it thoroughly. Add the garlic and cook stirring constantly for about 30 seconds. Add the white wine and lemon juice, and continue cooking until most of the wine has evaporated. Drop the prawns into the hot butter and cook for about a minute on each side or until the shrimp are opaque and cooked through. 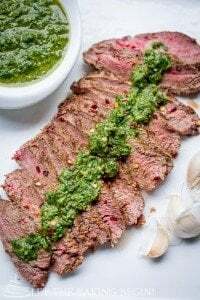 Take off the heat, add salt, freshly ground pepper and parsley. Toss everything to coat. Serve with mashed potatoes or pasta, right away. Hey marina, what kind of white wine did u use? I just never used wine before so not sure..
Sauignon, Chardonnay or Cabernet are all great white wines. You’ll need to find the one that you like most to get the best flavor. Just want to tell you I check your website quite often but never really comment it on it. I love your site, you have delicious recipes, and gorgeous pictures. I think your the best baker out there from all the “Russian” blogs that I fallow. I am Moldovian and made your mamaliga and it is very good, my family loves it. Keep up the great work!!! God bless you and your beautiful family !! Oh wow, thank you so much Val, that is the sweetest thing I’ve heard all day! Thank you so much for following along, making my recipes and taking the time to comment!